The developmental theories presented, Urie Bronfenbrenner's bioecological approach and Lev Vygotsky’s sociocultural theory on development, will compare with my own life experience to assist with the integration of developmental perspectives and theories. My argument is (1) To present a basic understanding of Urie Bronfenbrenner's bioecological approach to development. (2) To integrate Urie’s model, along with Lev Vygotsky’s sociocultural theory on development that relates to my own childhood experience. [Keywords: Vygotsky, developmental theory, bioecological approach, childhood development]. 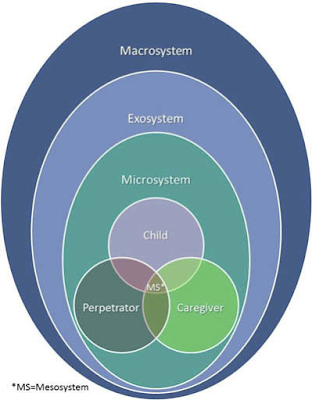 "The bioecological model, introduced by Uri Bronfenbrenner, is a theoretical approach that focuses on human development from a gene-environment perspective. Urie discovered, after his original theory, the ecological systems theory, that areas of human development were overlooked regarding environmental factors. Bronfenbrenner saw this theory as a “lifespan” approach, meaning it affects children and adults. 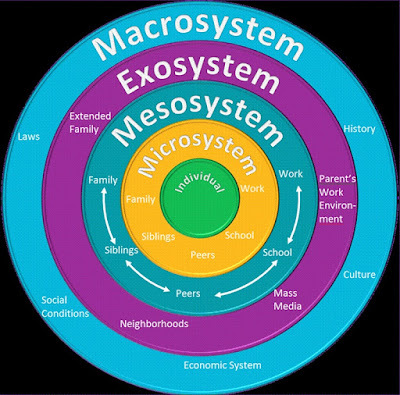 The emphasis of this model highlights the crucial aspects of not only the individual, but also the environment one is raised in, “The bioecological approach suggest that five levels of the environment simultaneously influence individuals.” (Feldman, 2011). Microsystem, the first level of the bioecological model involves the immediate environment. For example, when I was five years old, my family consisted of my three older sisters, ages ten, twelve and fifteen, my mother, my uncle, my biological father, my stepfather, two dogs and a few cats. We were happy enough, considering we were lower middle class financially. My uncle that lived with us was a diagnosed paranoid schizophrenic. 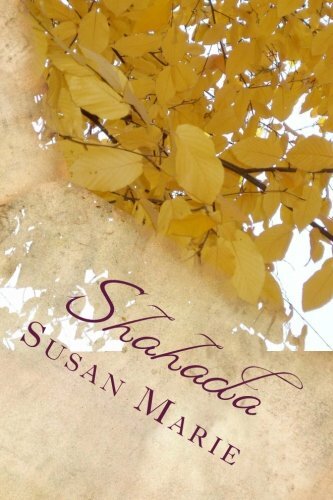 My mother was an alcoholic, as well as my stepfather. My parents had recently separated after twenty-two years of marriage. We had no idea my parents were separating. One day, my Father just left. My stepfather became my new father. He was an outstanding human being even though he was an alcoholic, which did not intrude on raising us. My biological father was not a nice man so his leaving was not that much of a loss to me. I was just confused as to why he left because that was never explained to me. My uncle was severely ill and that was extremely difficult to deal with along with my mother’s alcoholism. The adults all worked full time. Healthy communication in my family was nonexistent. I attended an extremely strict Catholic school; my first teacher was Sister Mary Laurana, who was loving and understanding. She passed away the same year she taught me. Our community was supportive and family oriented, no one was perfect, and everyone struggled in some fashion. It is in this level that most of child development ensues. Mesosystem, the second level, are similar to links on a chain, meaning connecting parts of the microsystem together. For example, my mother was always friendly except for when she drank. That was like existing with two completely different people, a nice one and a nasty one. My father was always distant; he never checked on us or cared for us emotionally or financially after he left. Even when my father lived with us, he was always someone to be feared and emotionally distant. There was no hugging or words of encouragement, only punishment or fighting regarding my parents. My schizophrenic uncle and my alcoholic stepfather were the adults that showed us love, ironically. My biological parents did not interact with teachers at my school or helped with my schoolwork. Our community was exceptionally supportive of the school and parish. Our house was always full of people. My mother, uncle, stepfather and sisters constantly had friends over. It is in this level where direct and indirect behaviors of family members to one another and family to community exist. Exosystem, the third level, maintains influences such as societal intuitions, government, places of faith, school and work. This level affects both the microsystem and mesosystem. For example, both of my parents worked full time, as well as my uncle. My mother and uncle both worked at Mercy Hospital and my stepfather worked at Republic Steele. We did not take any family vacations. There never seemed to be enough time or money to do these things even though there were three full time working adults in the household. We would take short trips like going to the park or the beach. We had one vehicle but only for a short time. Our school was supportive yet extremely strict. It was around this time, shortly after my parents separated, that they divorced. It is in this level that qualities such as the educational system, media, religious affiliations, and society in general have a greater impact on a child’s long-term cognitive development. Macrosystem, the fourth level, is about cultural affiliations and influences. Ethics, morals, values and mores are parts of the macrosystem. For example, my family consisted of mostly Irish ethnicity, half German, and American raised in the Catholic faith. My family was middle to lower middle class. The year was 1976, the bicentennial. Gerald Ford was the current United States President and was almost assassinated by Sara Jane Moore, who was caught and sentenced to prison. This year, the United States vetoed a United Nations resolution for Palestine as a free state, Steve Jobs formed Apple and Patty Hearst was sentenced to prison. In addition, this year, Jimmy Carter defeated Gerald Ford as President of the United Sates. As a part of culture, things that occur in society affect the individual. The value placed upon things that happen in a specific group of people affect the values of those living in that culture. Chronosystem, the fifth level, combines all previous levels of the bioecological theory. This stage includes global events and gradual changes that affect someone over time. During this time, more women worked, women’s rights were prominent in society, protesting was still a part of society that included homosexual, African American and Native Indian rights. The face of television changed and shows represented more true to life scenarios. There were more single working parent households, higher divorce rates and more crime. Reflecting upon each level of development, in addition to my own experience added as examples, I am able to observe how all of these levels added together affected me gradually. A solitary experience did not drastically change me; all of the issues challenged me later in adulthood. One developmental theory that applies along with Urie’s bioecological model and my own experience at age five is Lev Vygotsky’s sociocultural theory on development. This theory supports Urie’s bioecological model involving the environment one is raised in, as well as the role of society in general, “. . . a full understanding of development was impossible without taking into account the culture in which people develop.” (Feldman, 2011). This includes cognitive development due to social and cultural relations. In my own experience, applying the bioecological model, it is plain to see that every stage of development affected me whether that was familial, societal, institutional or global. In my late 20’s, I was diagnosed with panic disorder, agoraphobia and obsessive-compulsive disorder. By utilizing each level of the bioecological theory, keeping in mind, Vygotsky’s sociocultural theory, it is obvious as to why gradually, as an adult, the experiences of my childhood emotionally and mentally surfaced. I have since overcome these difficulties, yet Urie Bronfenbrenner's bioecological approach to development plainly relays to me the “what, when, where, how and why” of my own cognitive and human development from a five year old to a twenty eight year old. From an anthropological perspective, “the bioecological approach is of considerable importance to child development, suggesting as it does the multiple levels at which the environment affects the children’s development.” (Feldman, 2011). Feldman, Robert S. (2017). Development Across the Life Span. Chapter 1.